It’s 4 am. I can’t sleep any more. 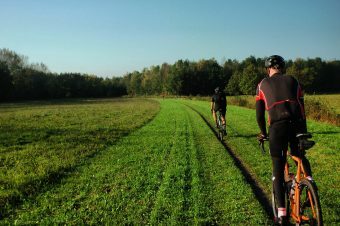 It’s probably the excitement for this 650 kilometre ride, the very first edition of Taunus Bikepacking in Germany. Although it isn’t officially a race, being a ‘dot’ on the tracker page amongst talented cyclists really gets the race blood flowing. 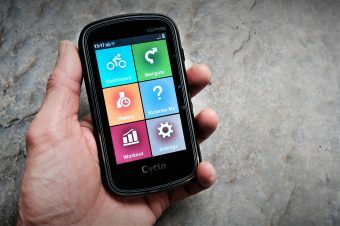 Like in most self-supported bike races the clock never stops until you cross the finish line. 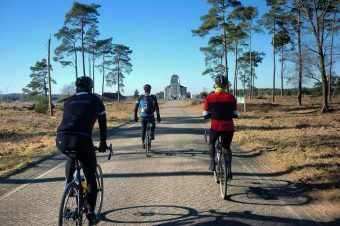 Do I spend the next hour, or even minute, on or off the bike? That’s it basically. It gets in your head. Got to keep moving. In total darkness, apart for the bundle of light coming from my helmet lamp, I roll up my sleeping kit, as silently as possible. My brother Laurens is still sleeping in the shelter hut we found last night. We both ride individually, but during this ride we meet several times and ride in close distance to each other. 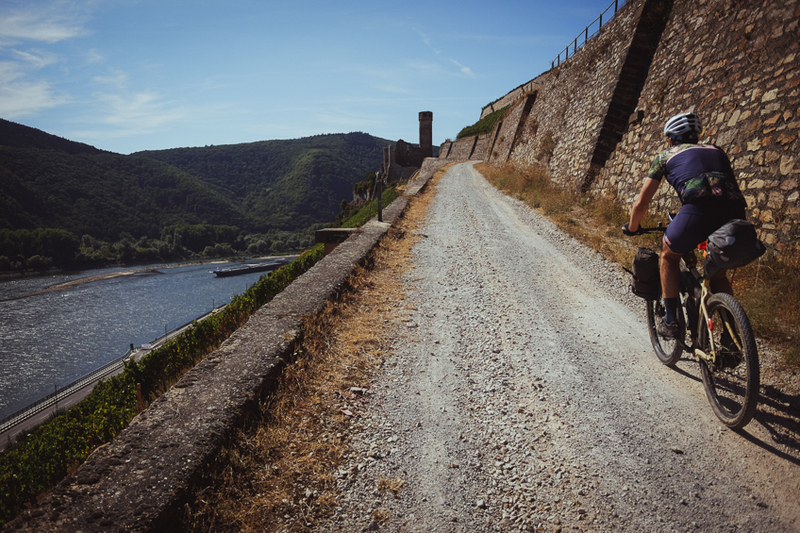 Koen grinding up the gravel road along to the river Rhine with temperatures reaching 37 degrees Celsius. On the first day I catch up with Laurens again, together with Koen from Belgium, who I know from another cycling event. As we roll down towards the Rhine river we’re all out of water and happy to stop in the town of Giesenheim to resupply. After a few kilometres of flat cycle path along the river it’s back to climbing again. Out in the open road we ride up the switchbacks. 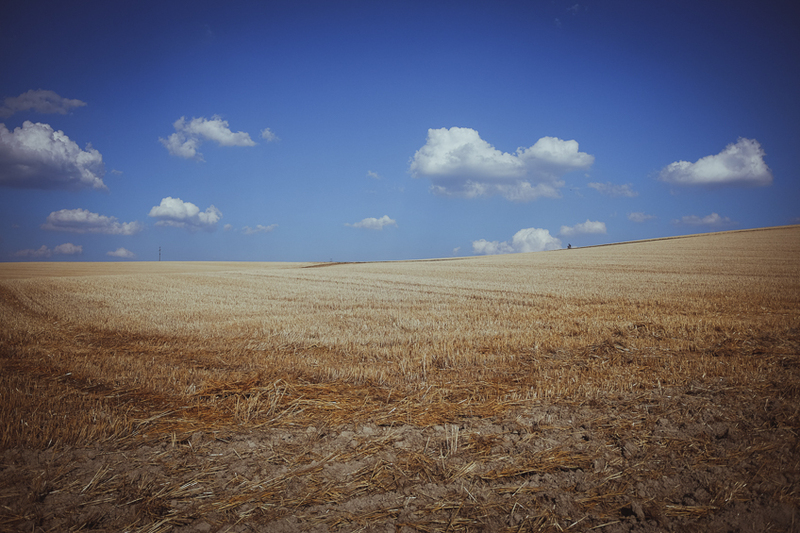 It has been an extraordinary hot summer so far with little to no rain. Today is no exception. Temperatures reach as high as 37 degrees Celsius. On the asphalt it feels even hotter. After soaking in the views on top we spot James lying in the shade. He is OK, but also struggled on the climb. 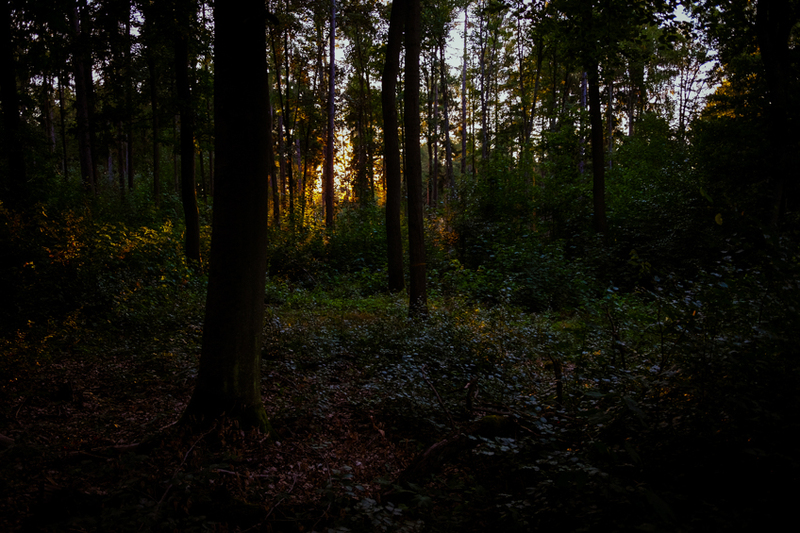 When the sun sets and you’re in the middle of the forest, you know it’s not an ordinary ride. Back in the shelter hut I quickly jump on my gravel bike and head out. 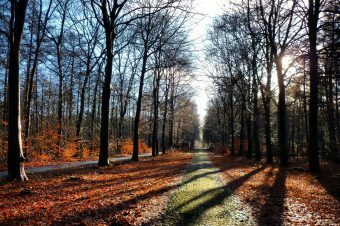 I’m in the middle of one of the many forests of the Taunus. Cycling in a pitch-black forest is quite strange but not as hard as I expected it to be. Then a turn comes up on my navigation device. The route is fixed and you have to follow it closely. On a T-junction I go left – no problem. Then another turn comes up, to the right. I can’t spot a path and have to stop. My head light dims. I turn on my back-up battery light and search the bushes for a path or something that organiser Jesko von Werthern thinks is good to ride on. It takes a while. Ah, this must be it! 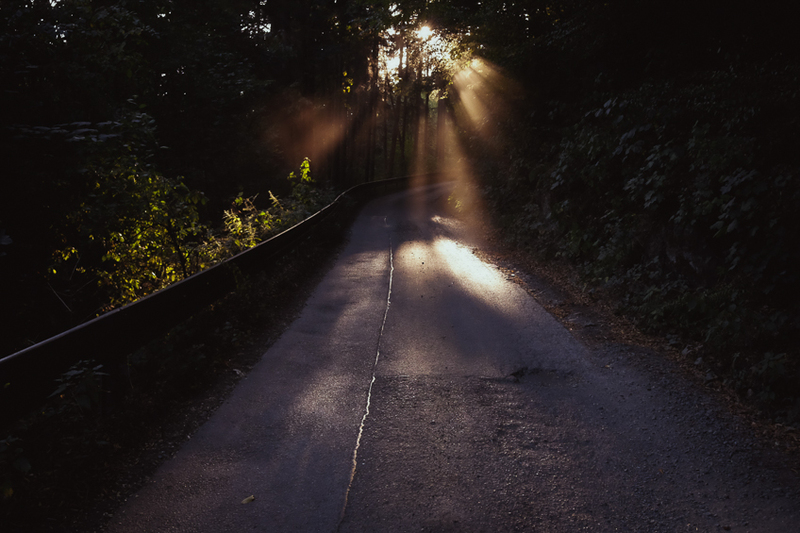 The route varies a lot and I really like the surprises it has to offer. The same goes for the entire Taunus area. Jesko is giving us a ‘grand tour’. The sun is slowly climbing. Normally I would be happy to feel the warmth of the sun, but in these temperatures it’s all different. I push myself to cover as much kilometres as possible before it gets really hot. Luckily I’m on the longest flat stretch of the route along the Lahn river, heading towards Limburg an der Lahn. 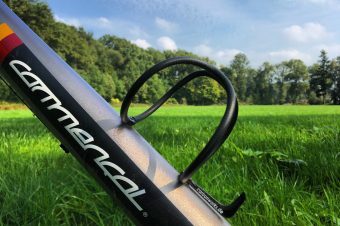 It feels good to ride fast on the carefree cycle paths, only stopping at a campsite to fill up my water bottles while all the guests are still asleep. Guess where the route takes us! Just before the town of Nassau I find a petrol station en route. You don’t want to skip these. They are an oasis in the desert. 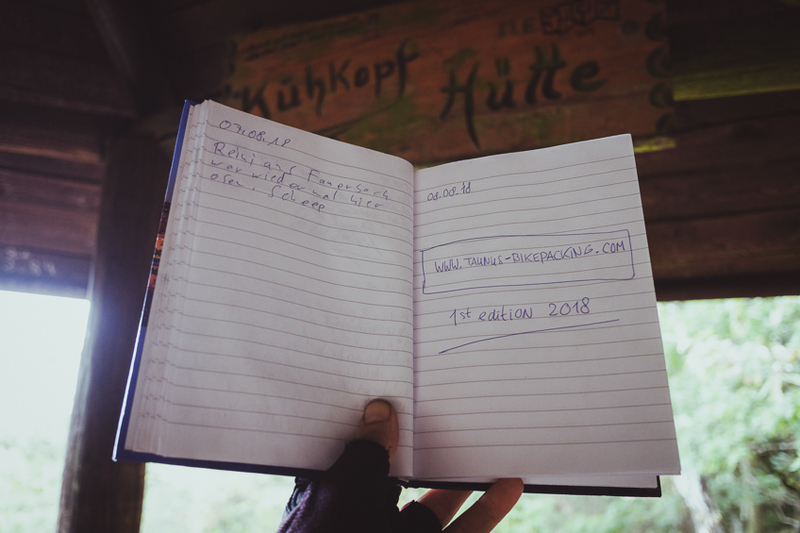 While I eat a freshly made egg sandwich and drink a huge amount of coffee – over here a large coffee equals half a litre, apparantly – I check the tracker page to see where the other riders are. Laurens is approximately one hour behind. Koen, who was already a good distance ahead in the evening, rode even more through the first part of the night. Without knowing I passed him sometime somewhere this morning. I’m approaching the small village of Steckenroth where the one and only checkpoint is. As I ride up the hill and take a right turn I spot Jesko around the corner. He shouts something, about being third. It takes a few seconds to realise that he is telling me I’m in third position – to my big surprise. I enjoy some salty snacks and quite a bit of Apfelschorle. Then Ken comes in. Then Koen. Then Laurens. It’s good to see all of them again, but I’ve been hanging around for one hour and a half now. The upside is I feel much better again and really look forward for the second part of the ride. Ken follows. We ride together talking about this ride, other rides in the past and future rides. Ken is fast. I can barely keep up with him. After a while he is just a dot. Not only on screen but also on the horizon ahead of me. Food, drinks and shelter from the hot sun at the checkpoint. Ken almost flying over the fields after the checkpoint. Idstein is a large town and I decide to stop for dinner, just in case there will be no place to get a good meal further up the route. A few hours later the sun is setting on day two and by now I’m done. I’m thirsty, but drinking doesn’t help any more. The hills become too high and there is no point in riding any further at this pace. As I’m looking for a good bivvy spot I notice a head light behind me. I assume it is Laurens, but to my surprise it’s Ken again. Day three will be the hardest day as the climbing increases even more. After several hours of riding I catch up with Laurens again as he rode a bit further last night. We continue the ride together, both a bit worried. 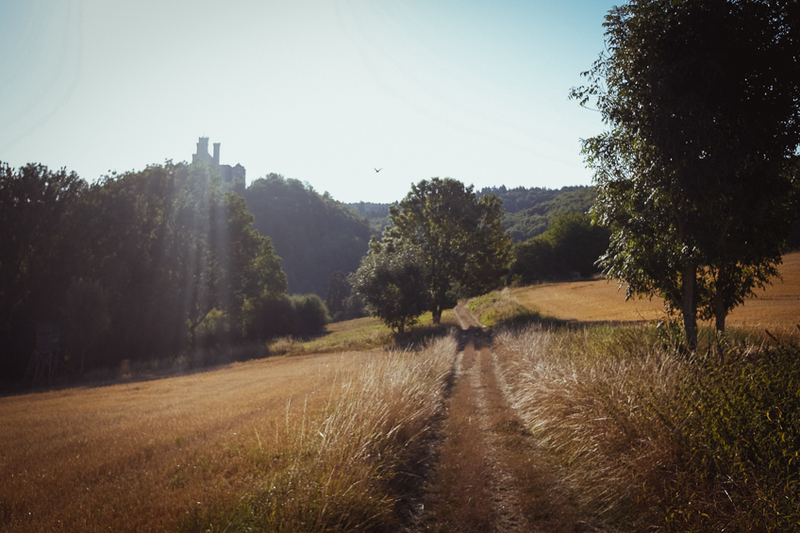 On this seemingly endless stretch of forest and farmland there is nowhere to resupply. During this unusual hot ride running out of water is a constant concern. Soon after it actually happened. 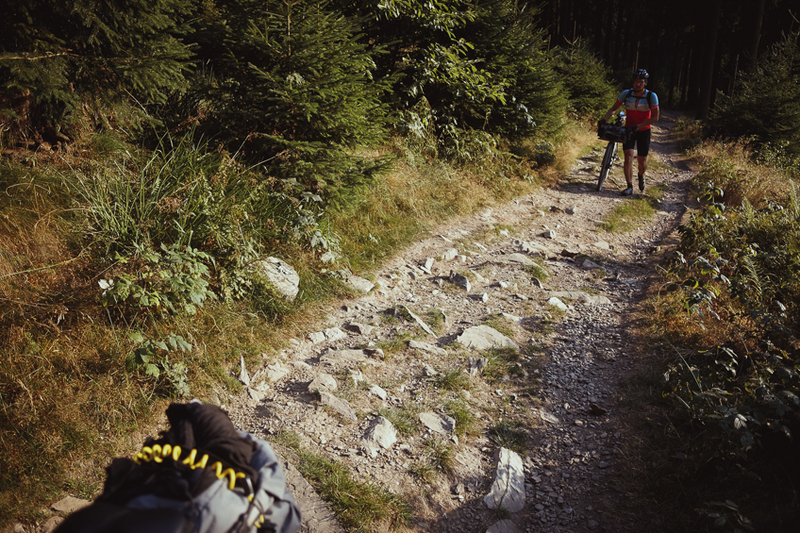 With filled up water bottles we head for the biggest climb of them all – to the top of the Großer Feldberg. 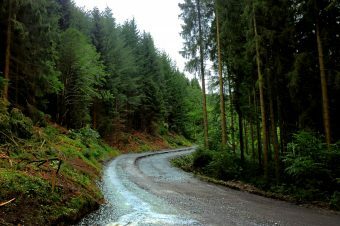 The climb isn’t bad, apart from the technical part with tree roots where a few mountain bikers stare at our loaded bikes. I like long climbs. When you find a pace that is doable, you just keep on trucking. We are just in time to see the sunset on top. It’s beautiful and rewarding. 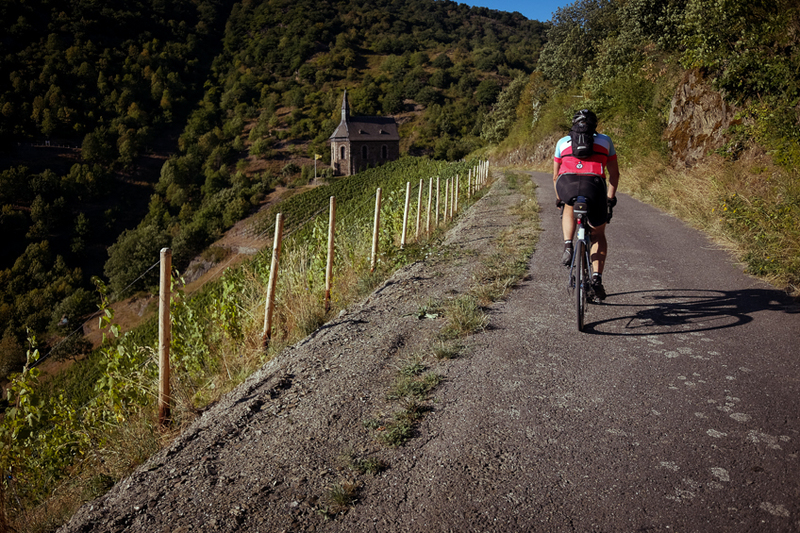 The next reward soon follows, the descent on fast rolling gravel paths. A big pizza in a town called Smitten is another one. Here we meet Ken again. Where does this guy come from!? Long days in the saddle are always rewarding. Don’t forget to sign the guestbook! Lightning flashes across the dark sky. I am waking up on the edge of a field in a dry bivvy bag, glad last night’s rain didn’t continue throughout the night. Without any rain gear with me I am not prepared for heavy rainfall! The lightning flashes continue all morning. At some point it seems to be heading away. Then all of a sudden rain starts to pour. I spot a high seat, a small cabin on poles that hunters use. We climb the ladder and wait for the rain storm to pass. It’s a beautiful sight. This is what nature was waiting for. The soil is soaking up the rain like a sponge. Lucky for us the temperature is still high and for the next kilometres it feels like we are riding through a tropical rain forest. With James, Holger and Ken ahead of us, the podium positions are taken (if nothing crazy happens). Laurens and I decide to ride it out together. We often ride together back home, so why not now? 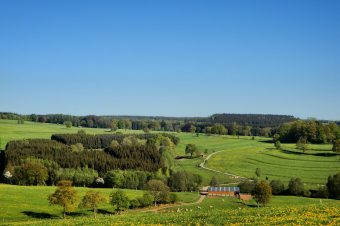 The Altkönig is the second largest hill and is close to the finish. Again a technical part where I dismount my steel pony without hesitation. I don’t mind to walk a few kilometres. At this point it feels good to use my legs in different way and cycling isn’t faster anyway. After the descent we ride up the very last climb to the chapel. Photographer Ryan Davies spots us, cheers us on and even leads us to the chapel where Jesko, James and Ken are cheering. What a great surprise. What an intense relief. What a very good tasting finisher beer. 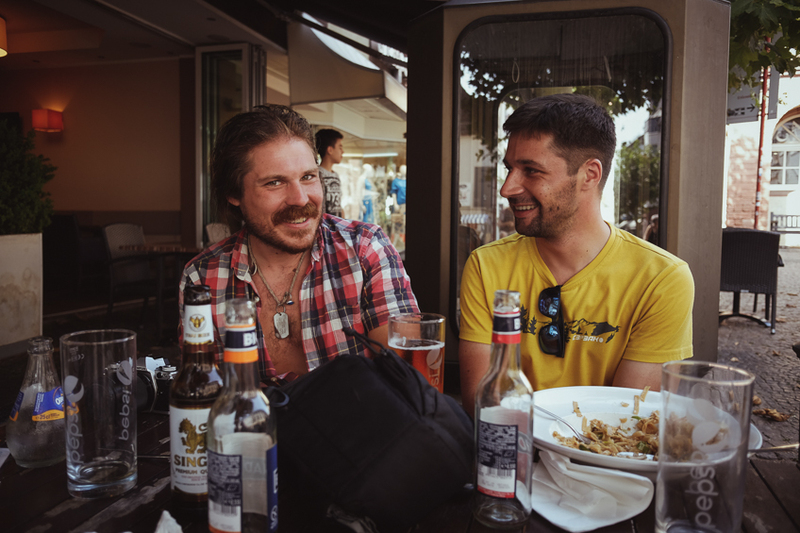 Dinner and cold drinks with photographer Ryan Davies and organiser Jesko von Werthern at base camp, the Thai place in Hofheim am Taunus. 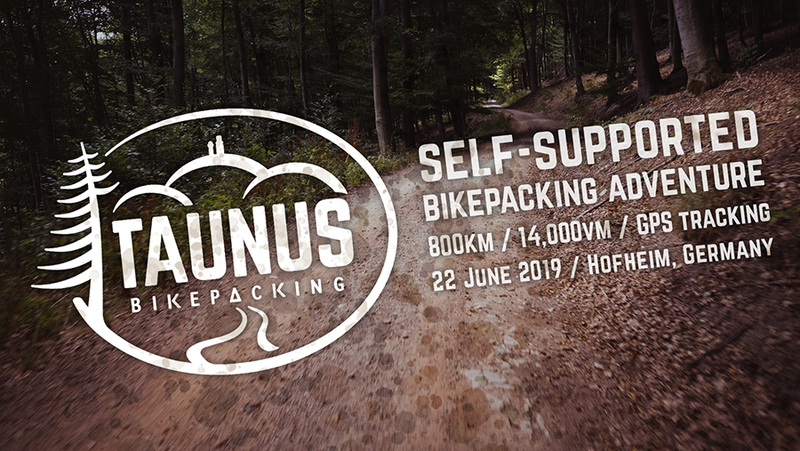 Taunus Bikepacking is back in 2019! With even more kilometres and more climbing. 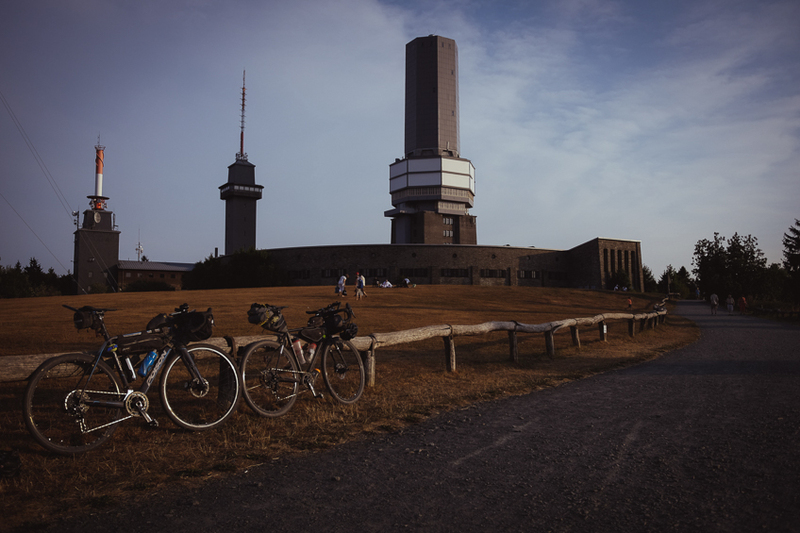 Go to taunus-bikepacking.com for more information.